Right off the bat, the OnePlus 5 challenges flagships and features from other manufacturers — starting with Apple and Portrait Mode on the iPhone 7 Plus — and will most certainly be a hard phone for consumers to resist. It's only been three years since OnePlus started making waves in the mobile industry, but the company's strategy of offering flagship-tier specs at midrange prices by relying on word-of-mouth marketing and other cost-saving measures has propelled them into the upper echelon of phone makers. Now that they're launching their fifth flagship device, let's take a look at everything that's been announced. Available for purchase starting June 27, 2017. Dual cameras give you 2X optical zoom and bokeh effect for portrait photos. Two models: 6 GB RAM & 64 GB storage; 8 GB RAM & 128 GB storage. Two prices: 6 GB variant will sell for $479, 8 GB model will cost $539. 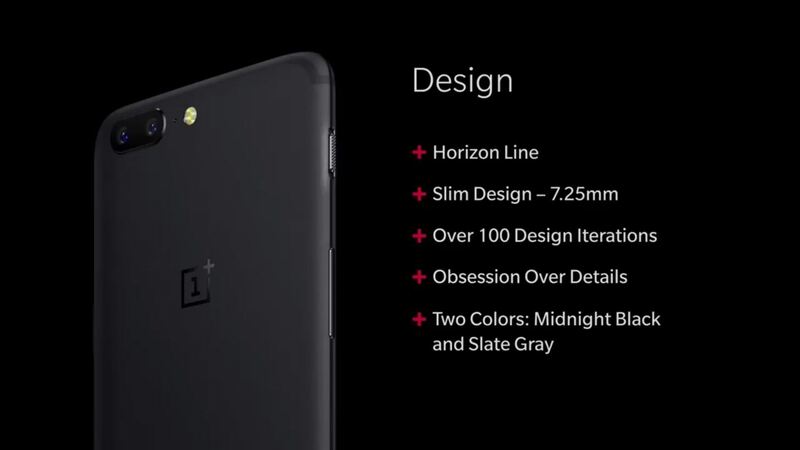 As you can see in the picture below, the new flagship will be made of anodized aluminum, which we've come to expect from OnePlus. 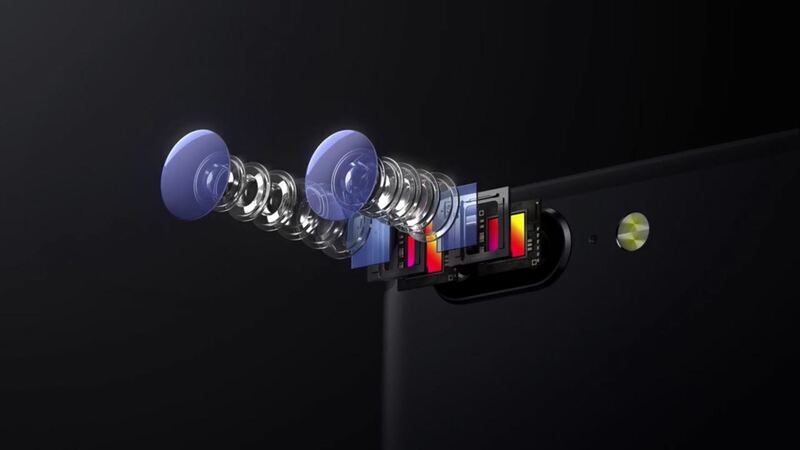 However, a dual-lens rear camera setup is entirely new in the OnePlus series and will be used similarly to the iPhone 7 Plus to create a shallow depth of field effect. 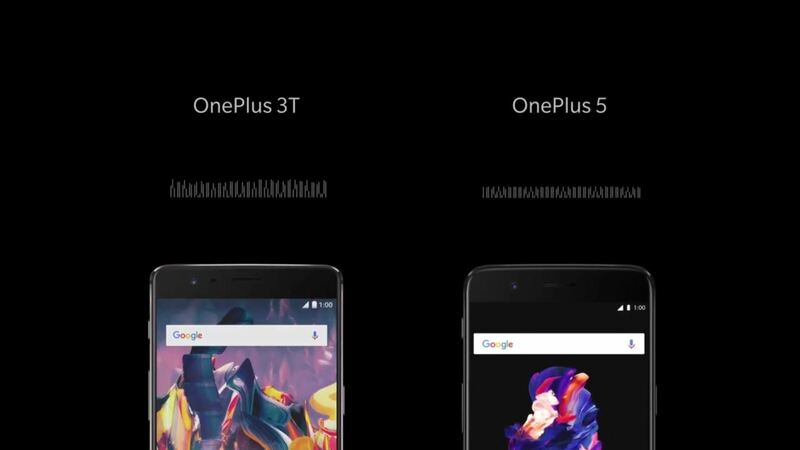 Thankfully, the OnePlus 5 will retain the 3.5mm headphone jack which we all love and use. The OnePlus 5 will also have three microphones used for noise cancellation, so no more having to repeat yourself when you're on the phone in a busy area. The official OnePlus 5 specifications list has been released, and most of the specs seem to be in line with what we've grown to expect from OnePlus. So we'll go ahead and list the major ones, then dive into the details below. The Snapdragon 835 will be powering most of this year's flagship devices, with the exception of the LG G6, which is using an optimized Snapdragon 821. The Galaxy S8 and S8+ both use the Snapdragon 835, and so will the OnePlus 5, so it'll be just as fast as other devices on the market, if not faster thanks to the unbloated OS and a much greater amount of RAM. 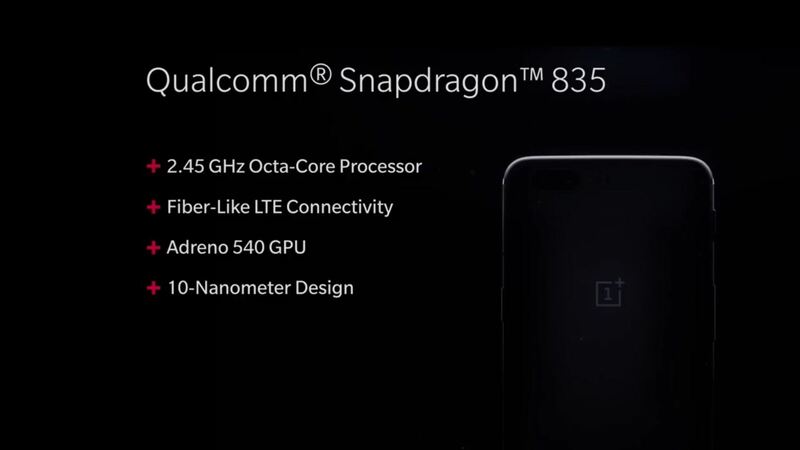 You can read all about the Snapdragon 835 at the link below. OnePlus has been offering 64 GB as the base storage tier in their devices since the release of the OnePlus 3, and the OnePlus 5 will be no different. But the OnePlus 5 will have a second variant (kinda like an upgrade) available with 128 GB as the base storage, which will also come with a RAM boost to 8 GB. Let's talk about the storage on the OnePlus 5 for a minute. 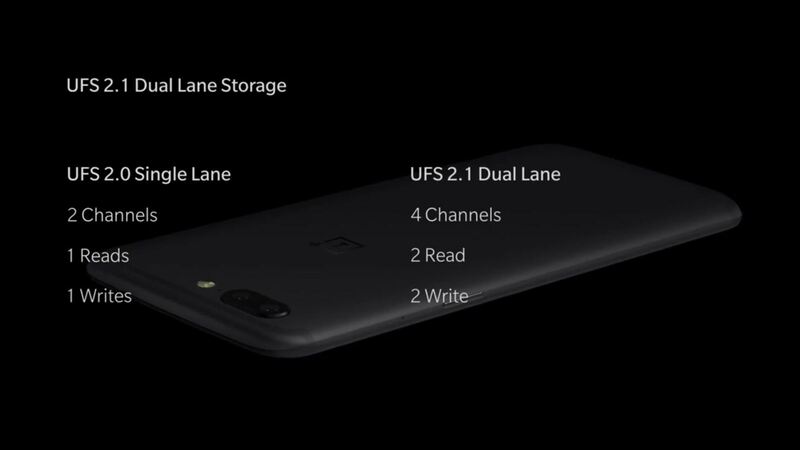 The OnePlus 5 will be using UFS 2.1 (like some models of the Galaxy S8), but it'll be a dual lane UFS, which means the OnePlus 5 will be capable of running twice as many operations as its competitors. The OnePlus 5 will come in two variants. The base model of the OnePlus 5 will have 6 GB of RAM, but an 8 GB version will be up for grabs! 8 GB of RAM means better multitasking, better gameplay, and possibly seamless video streaming/casting as long as your internet connection is up for it. While other OEMs have decided to release their devices with 4 GB of RAM (Samsung, LG, HTC, I'm looking at you), OnePlus has gone that extra mile and will offer 8 GB of RAM for a few extra bucks which will also get you a significant storage space jump to 128 GB. Did I mention that RAM management will be improved as well? 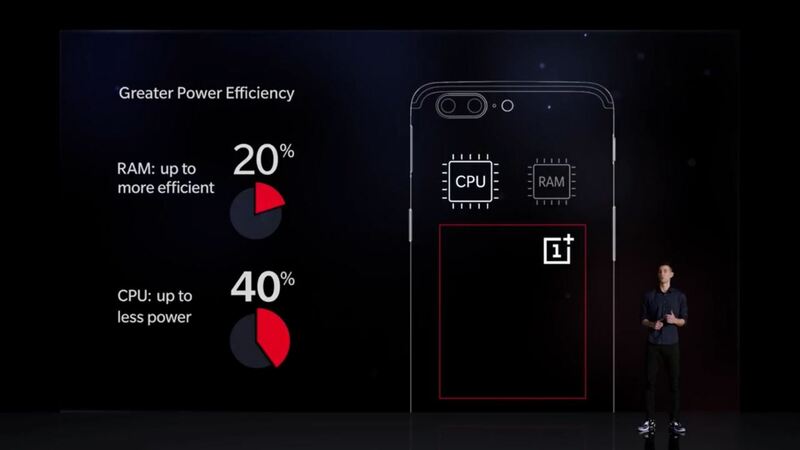 Compared to the OnePlus 3T, the RAM on the OnePlus 5 will be up to 20% more efficient. Don't Miss: How Much RAM Will You Need in Your Next Android Phone? Following in the footsteps of previous OnePlus devices, the OnePlus 5 will come with a 5.5-inch 1080P Full HD Optic AMOLED screen. There's nothing wrong with a 5.5-inch screen, it's plenty big, and the resolution looks pretty damn good at 401 PPI. An AMOLED screen also means that pixels will turn off for a true black display, which won't be as taxing on the 3,300 mAh battery. According to OnePlus, the OnePlus 5 will have a sharper display with a lower touch latency than the OnePlus 3T. Which is good news since the 3T was notorious for having a very strange response time when scrolling or typing. The OnePlus 5 will come sporting a 16+20 (wide-angle and telephoto, respectively) megapixel dual camera setup with new features allowing you to take clearer photos than ever before. The features you get from this will be similar to the iPhone 7 Plus, where a nice bokeh effect can be created for portrait photos. On top of that, the main shooter sports an f/1.7 aperture, which is among the widest on the market. This means that indoor and night-time photos will be significantly brighter with less noise than any OnePlus phone before it. Other new camera features include Smart Capture which will automatically optimize your photos for accuracy and clarity, as well as Pro mode that'll give you control over various settings such as ISO, WB and shutter speed. With one of the lenses being telephoto while the other is wide-angle, you'll also have the ability to do a little bit of optical zooming. The front camera will be a 16 MP camera with the same specifications as on the 3T, but will be manufactured by Sony instead of Samsung. What do you guys think? Does the OnePlus 5 sound like a phone worth pre-ordering, or do you already have your eyes set on another device? Share your thoughts in the comment section below, and be sure to include your own personal favorite features when it comes to the new OnePlus flagship device. I'm looking forward to seeing what they actually come out with the OnePlus 5. I got the OnePlus 3T for my wife and really like it. If the camera software is improved, it'll be a definite upgrade for me.